If you are looking for Gluten Free Apple Recipes that are both scrumptious AND easy, you have come to the right place! Scroll down for a list of the best recipes that you'd never even guess are wheat free! Many of us "bakers" and "cooks" are requiring to change our recipe menu planning from time-to-time to accommodate ourselves, a family member or a guest who requires a gluten-free diet. These individuals cannot tolerate gluten in their diet. Perhaps they suffer from celiac disease, or another condition which requires them to follow a strict diet. There seems to be quite a variation of exactly what a gluten-free diet entails and there appears to be much over-lap between a die that is gluten-intolerant, and one that is gluten-free. In very general and simple terms, a gluten-free diet is one completely free of ingredients derived from gluten-containing cereals: wheat, barley, rye, malts, triticale, and sometimes oats. This diet also includes refraining from any food which includes gluten as a food additive, for example in the form of a flavouring, stabilizing or as a thickening agent. Use the navigation bars at the left hand column of this website to check for other gluten-free recipes within the different recipe groups. 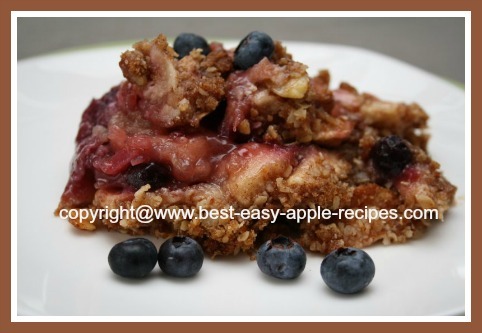 There are many other recipes throughout the pages of this website - Best-Easy-Apple-Recipes.com - which may also be considered "gluten-free". Healthy, homemade applesauce and other fruit sauces made with apples and other fruits are great gluten-free recipe ideas to make with apples. The recipes listed on this page are those which are specifically created with a diet free of wheat in mind. The recipes which I have included above, (more recipes will continue to be added!! ), are those that have amazing taste, and the whole family can enjoy! Recipes that you'd never know were made for a restricted diet! *It is always a good idea to examine the list of ingredients in any recipe that claims to be without gluten because some people on a specific diet may also not be able to eat cornstarch, oats processed in a facility which also processes wheat, or other foods. So check the ingredients before beginning a recipe, and if necessary adapt or make substitutions as are necessary. This is a especially a good routine to follow before planning your menu for guests - in addition to gluten-free diets, other people may require a diet that is fat-free or sugar-free, or they may have food allergies that you may not be aware of.